Oopps! Not yet! Simply leave your name and email in the boxes below to get instant access to your FREE PDF and Videos! Get Instant Answers To ALL Of Your Questions About Progressing Onto Pointe! How Old Do You Have To Be To Start Pointe? 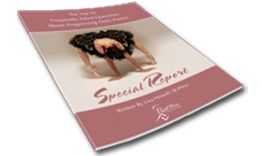 Get Instant Access to a Special Report answering “The Top 10 Questions About Starting on Pointe” which answers all of these questions and MORE!! Simply leave your name, email address and any questions you have about pointe work in the boxes below and you will get instant access to the PDF PLUS 10 FREE Videos answering the top 10 questions in detail! This very special PDF answers all of your questions in detail! Questions About Progressing Onto Pointe!